Founded in 2009 by Phillip March Jones, Institute 193 is the only cultural organization in Lexington, Kentucky dedicated to contemporary art with the specific mission to document the cultural landscape of the modern American South. They host exhibitions, publish artist books, and present regular community-driven events, including music performances and film screenings. As an artist-centered space, they also strive to find their artists additional exhibition opportunities when their Institute 193 projects are over. Bruce Burris, We Will Someday, Someday We Will, 2009, Mixed Media, 19 x 17 x 13 in. 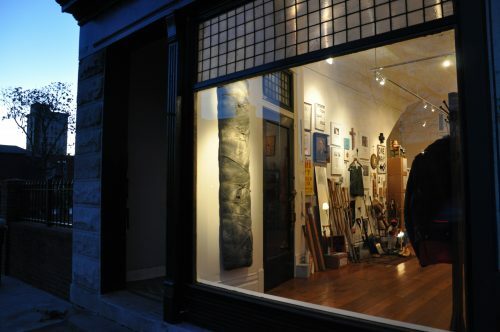 From his exhibition of the same title at Institute 193 in 2010. Institute 193’s curatorial perspective reveals, project by project, the complex, nuanced reality of life in the Greater South, often with a particular focus on social justice. 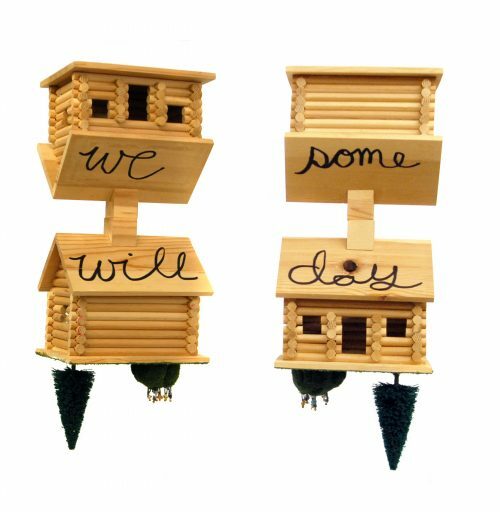 Their 2010 exhibition, Bruce Burris: We Will Someday, Someday We Will, highlighted concerns about mountaintop removal and the political discourse in rural communities through Burris’s whimsical installations that incorporated direct calls to action. 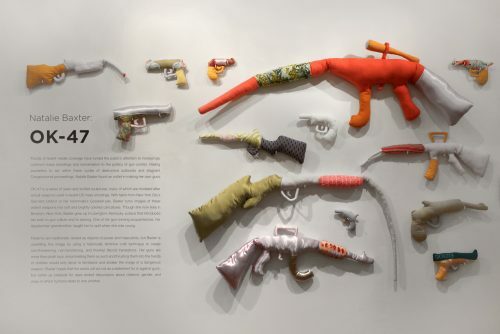 Natalie Baxter’s 2016 exhibition, OK-47, displayed the artist’s sewn and stuffed sculptures, many of which were modeled after actual weapons used in mass US shootings, and reflected on the complexities of gun culture and gender. Natalie Baxter: OK-47, Installation View, 2016. Currently on view is Pasaquoyanism, an exhibition that features the colorful paintings and sculptures of Eddie Owen Martins, better known as St. EOM. Martin founded his own religion, Pasaquoyanism, in response to visions he had that started in his early twenties. The show documents his creation of Pasaquan, the seven-acre compound in rural Georgia that he built and decorated from the mid 1950s to his death in 1986. Pasaquoyanism closes on June 22nd. This summer, the Elaine de Kooning House in East Hampton, New York will present Summer Studio: Institute 193, a group exhibition that will feature works by Robert Beatty, Jessie Dunahoo, Mike Goodlett, Lonnie Holley, Shara Hughes, Guy Mendes, Adam O’Neal, Aaron Skolnick, Lina Tharsing, and Mare Vaccaro, along with a selection of Institute 193 publications. The exhibition will be on view by appointment and during a series of events hosted at the property from June 25th to August 18th. The next exhibition in Lexington will be Martha Clippinger: Two Sides/Dos Lados. Known for bright sculptural assemblages, quilts, and weavings, Clippinger revels in the imperfections and inconsistencies of handmade objects. Clippinger grew up in Columbus, Georgia, and now lives in Durham, North Carolina. Two Sides/Dos Lados will be on view from June 29th through August 29th. Louis Zoellar Bickett II: Selections from the Archive, Exterior View, 2009. Institute 193 is located at 193 North Limestone in Lexington, KY. Gallery hours are Wednesday – Sunday, 11AM – 6PM. Institute is a Fall 2017 Grantee of The Andy Warhol Foundation for the Visual Arts. Established in 1987, the Foundation’s mission is the advancement of the visual arts. Our innovative and flexible grants program has given over $200 million in cash grants to over 1,000 arts organizations in 49 states and abroad. The next application deadline is September 1, 2018. Learn more at warholfoundation.org. Header Image: St. EOM: Pasaquoyanism, Installation View, 2018. © 2018 The Andy Warhol Foundation for the Visual Arts, Inc.